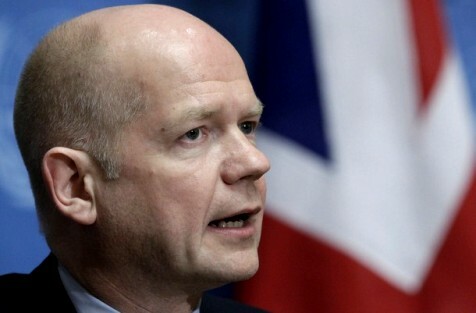 British Foreign Secretary : Middle East Peace Process "must not become a casualty of uncertainty in the region"
March 9, 2011 (KATAKAMI.COM) —- British Foreign Secretary William Hague discussed the Middle East Peace Process when he met Palestinian President Mahmud Abbas in London on 8 March. 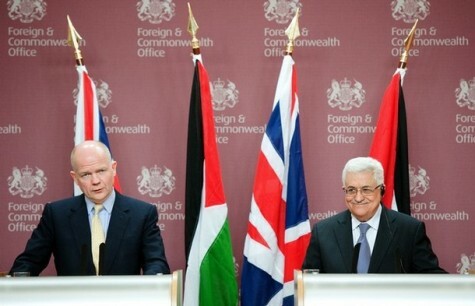 “It is a huge pleasure to welcome President Abbas to London and to the Foreign and Commonwealth Office. We have had important discussions about the peace process, our bilateral relations and the situation in the region, which the President will continue with the Prime Minister later this afternoon. It is a moment of unprecedented change, as we know, in the Middle East, one which combines the immense potential for greater democracy and human development with the risk of instability and violence. It calls for extraordinary efforts by the international community; for radically different thinking about the region; and for bold leadership from governments within it. And there’s has been a long held view that change in the Middle East would be slow and incremental. There is an equally long held view that the Middle East Peace Process can limp just along indefinitely. Both these assumptions have been shattered by the recent convulsions in the region, which have shown that change can happen overnight, that there are vast populations of young people demanding their rights and a say in their government, and that we cannot predict for certain the shape of the Middle East in the years to come. And the British Government’s message today is that the Peace Process must not become a casualty of uncertainty in the region. It is too important to be allowed to fail or falter. Instead, efforts must be redoubled to move the Peace Process forward. The British government believes that the parties must recommit themselves to negotiations as soon as possible, to do so on the basis of clear principles with international support, and to strive for a breakthrough this year. The first is that the risk of conflict is significantly heightened in the absence of a meaningful peace process. We have seen this many times before. The dangerous undercurrents in the region, including the existence of armed groups wedded to violence and young people vulnerable to radicalisation are just some of the forces that could spill out into the vacuum left when there is no credible prospect of negotiated peace on offer. Second, time is working against the interests of all those who want peace, above all the parties themselves. The changing situation on the ground, in particular the encroachment of settlements on the West Bank and East Jerusalem, the isolation of Gaza and the entrenchment of Palestinian divisions all make a settlement harder to achieve. We should not pretend that this can continue indefinitely without at some stage making a two-state solution impossible. A two state solution is the only lasting hope for sustainable peace and security in the region, but it is possible to foresee that it will have an eventual expiry date if it is not seized now. I do not underestimate the uncertainty and what it means for those who live with it on their doorstep, above all in Israel which has suffered attack in the past and lived with insecurity for decades. But we are convinced that there is an inescapable need for both parties to commit to negotiations based on clear principles, and for the United States and the Quartet to set out the parameters for a future settlement. In our view such a statement should include 1967 borders with equivalent land swaps, appropriate security arrangements for Israelis and Palestinians, a just, fair and agreed solution for refugees and Jerusalem as the capital of both states, so that urgent negotiations can lead to a framework agreement should aim to achieve a framework agreement by September this year as called for by the United States. And I pay tribute to the leadership of President Obama and the tireless efforts of Secretary of State Hillary Clinton and US Envoy Senator Mitchell. The UK, France and Germany committed themselves to such a statement at the UN on 18th February. We will work in the coming months to seek wider international support for this approach, which I discussed in some detail with President Abbas today. We also discussed the significant progress that Prime Minister Fayyad and the Palestinian authority have made under the leadership of President Abbas’s to build the foundations of a viable Palestinian state in line with their road map commitments. So I was pleased to confirm to the President that the UK will join many other nations in upgrading the status of the Palestinian Delegation to London to the level of a Mission. We welcome this positive step in our relations, along with the President’s long standing commitment to a two state solution. I also welcomed the recent call for Palestinian elections, and I condemn Hamas’s rejection of these. Hamas should not be allowed to stifle the democratic expression of Palestinian opinion. Finally given that today is also the 100th anniversary of International Women’s Day, I would like to pay tribute to the many Israeli and Palestinian women who have borne decades of conflict with great dignity and fortitude, and of whom many have worked courageously for peace. It is in the families and young people of every society that hope, optimism and energy for change reside. 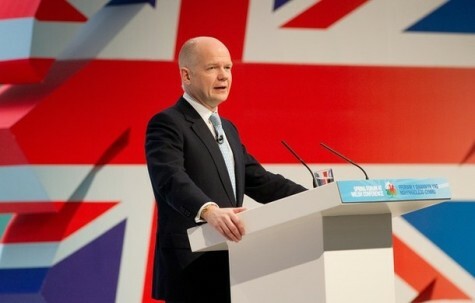 Comments Off on British Foreign Secretary : Middle East Peace Process "must not become a casualty of uncertainty in the region"
London, March 8, 2011 (KATAKAMI.COM) — British Foreign Secretary William Hague has made a statement on the centenary of International Women’s Day, a global day celebrating the economic, political and social achievements of women. “Today we celebrate one hundred years of International Women’s Day. Much has been achieved in those first one hundred years. But in many parts of the world, women are still campaigning for the rights and opportunities that they were denied in 1911 and are still denied now – the right to work, to vote, to hold public office, to live their lives free of discrimination and to have full access to the education and opportunity which is their birthright. And in some cases their rights have been eroded. This year the struggle for democratic rights in the Middle East and North Africa is at the forefront of world attention. Many women have been involved in courageous peaceful protest across the region. 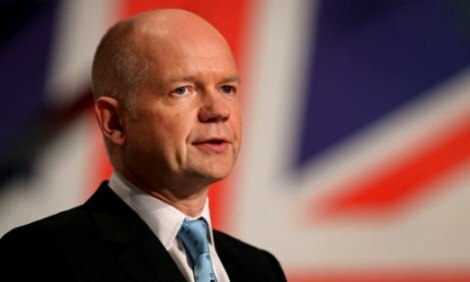 March 8, 20100 (KATAKAMI.COM) — British Foreign Secretary William Hague announced that the UK would join many other countries in upgrading the Palestinian Delegation to London to the level of a Mission. The upgrade is an acknowledgement of the improvements made by the Palestinian Authority in its state building agenda and their progress against their roadmap commitments, and the extent of UK aid to the Palestinian Authority and the UK’s work with them. 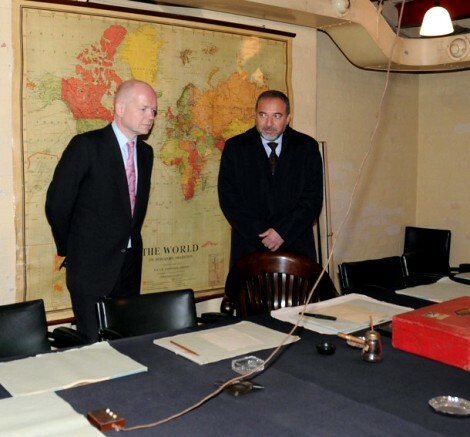 Under the upgrade the Delegation Office will be renamed the “Palestinian Mission”. There will also be simplified visa arrangements for members of the mission and other administrative benefits. “Under President Abbas’ leadership, Prime Minister Fayyad and the Palestinian Authority have made significant progress in building the foundations of a viable Palestinian state in line with their road map commitments. In light of this, and given the extent of our aid to the Palestinian Authority and our work with them, I will today confirm that we will join many other countries in upgrading the status of the Palestinian Delegation to London to the level of a Mission. 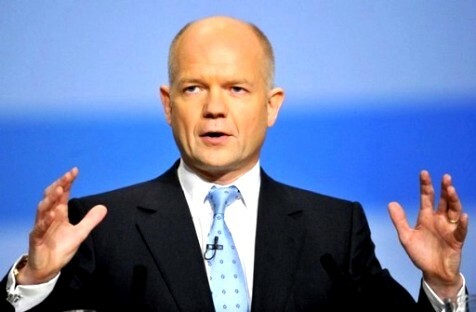 March 2, 2011 (KATAKAMI.COM) —- British Foreign Secretary William Hague called on the Iranian authorities to release both men immediately. “I am deeply concerned by reports that Iranian opposition leaders Mirhossein Mousavi and Mehdi Karroubi have been moved from their houses, where they have been under house arrest for two weeks, to an Iranian detention centre. I call on the Iranian authorities to release both men immediately. “I am particularly concerned given the inexcusable calls by Iranian parliamentarians for Mousavi and Karroubi to be executed. The eyes of the world remain on the plight of opposition figures in Iran even as we respond to events elsewhere in the region. 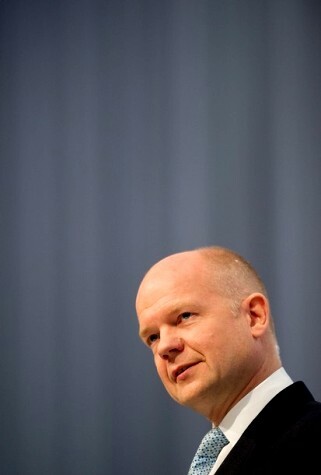 Jan 15 (KATAKAMI.COM / FCO.GOV.UK) — Foreign Secretary William Hague calls for restraint from all sides and an orderly move towards free and fair elections. “I condemn the violence and call on the Tunisian authorities to do all they can to resolve the situation peacefully. I am calling for a rapid return to law and order, restraint from all sides, an orderly move towards free and fair elections and an immediate expansion of political freedoms in Tunisia. Our Embassy in Tunis is providing help and assistance to the UK citizens affected. Britons worried about travel to Tunisia should check the FCO’s travel advice, which is kept under constant review.